If you are a civil engineering graduate in the country, your future may seem a bit uncertain. You may wonder if your core engineering degree is good enough to take you where you want to reach. So, you tend to veer towards what seems the obvious path—take up an M.Tech degree. Every year, several engineers write the GATE exam and set themselves up for a technical career, but not all of them make the cut in a topnotch college. What happens then? A sense of helplessness sets in, forcing candidates into job roles that they don’t enjoy, or even into giving up a career in core engineering and looking at jobs in other industries. Well, have you really explored all the options available? Are you interested only in the technical sphere? Answers to these questions will go a long way in helping you chart the career path that is right for you. If you are keen on a career in civil engineering, the good news is there are many viable options that are perhaps be even better than an M.Tech, offering a clear-cut career path—and required you to utilize a range of your skills. If you want to excel in the technical domain in the competitive job market, it is critical for you to upgrade your technical skills in industry-specific areas and sharpen your knowledge on design and tools that enable industry integration. If you are committed to doing purely technical work, then an M.Tech will is the way to go. There are a few options for those who choose this route. Working on-site will help you gain experience. However, to truly gain an edge in a technical role, it is important to work on innovative projects (and especially on those projects that have high visibility). Differentiating yourself on the basis of your technical skills can be hard, since you are competing in a crowded field, but it is a good option for those who are truly passionate about core civil engineering. However, if you are in a technical role, moving to the management side can be difficult, since the skillset required in both these domains is different. Professionals who wish to still be involved with the technical side of things but manage and lead projects are called techno-managers. There is a more linear path to seniority (which also translates into better salaries) if you are in a management role. Do you want to remain a technical person all your life? It’s great if you do! The downside to performing a purely technical role is that your career graph may not progress at the speed you expect it to. If you want to fast-track your career prospects in this profession, you must look at roles that combine technical knowledge with management capabilities. Apart from people with technical skills, the real estate and construction industry also requires strong managers who can map business strategies and manage an entire project cycle from start to finish, thereby managing cost overruns and meeting targets effectively. If this excites you, then are ready to don the hat of a techno-manager. 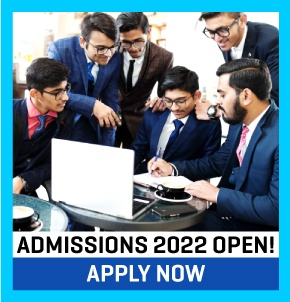 In that case, a specialised MBA in this field is better option than an M.Tech degree and will help fast-track your prospects in your professional life. A specialized MBA, in areas like quantity surveying, infrastructure management, construction economics and construction project management, will give you the necessary managerial, leadership and decision-making skills that will help you lead teams and projects with confidence and (given the right behavioral and leadership skills) rise up the ranks to reach the position of a CEO or other CXO positions in the organisation. Some specialized courses also give students an opportunity to visit other countries to understand how work is done differently in these nations, what the policies and procedures are and how industry-specific issues are being tackled. This knowledge goes a long way in implementing best practices in in-house projects. Whether you opt for a technical path or managerial roles, don’t do the job as a compulsion. Your career graph will not soar high if you stick to doing something that doesn’t interest you. This is a sure path to boredom and disillusionment! You must bring to the table high amounts of passion and energy to tide over the tough requirements of the job, adhering to quality standards and meeting deadlines. Whatever career path you choose, remember to leverage your strengths and combine them with your passion. When you have the skills to do a job that you enjoy, that is when true excellence emerges.